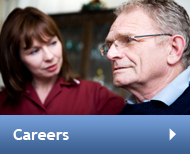 Founded in 1983, Crofton Care Partnership offers professional, high quality care to people in their own homes. Many people choose to stay at home, but need support to do so; our range of practical services helps people to lead fuller lives. We work with our clients to find out what they need, and how we can best provide it. 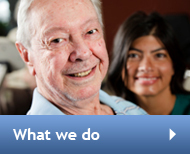 Our reputation is based on years of experience and hard work in community care. 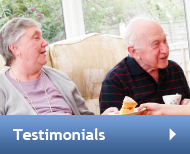 We are proud of the excellent services our dedicated carers and management team provide. We were inspected by the Care Quality Commission in October 2016 and we’ve received a rating of “good” across our service – read about it here. Almost a million people a year in the UK use homecare services like ours in order to maintain their independence in their own homes – yet central and local government continue to put an unbearable squeeze on funding for these vital services. We are supporting the Save Our Homecare e-petition, which is calling on Government for more funding to support people at home and reward careworkers. Homecare is already chronically under-funded by Government. Unless something is done now, there will be an estimated £750m shortfall in 2016. As a result, some homecare providers may no longer be able to provide state-funded care and others may leave the market altogether. The Save Our Homecare campaign is being backed by United Kingdom Homecare Association (UKHCA) – the UK’s professional association of homecare providers, of which we are a member. Our team see every day the positive difference homecare makes to those who, due to age or disability, need help to maintain their independence. We want to send a powerful message to Government ahead of its autumn spending review. Every signature counts, so if you feel strongly about this issue too, please sign the petition. You can also get involved and follow the #SaveOurHomecare campaign on Facebook and Twitter. (Please note: To complete signing the petition you will receive an email from the Parliament petition site. This is in order that they can be sure that you wanted to sign the petition. Some email providers will send this email into the junk / spam box. So, please do check there if it doesn’t come through as expected.